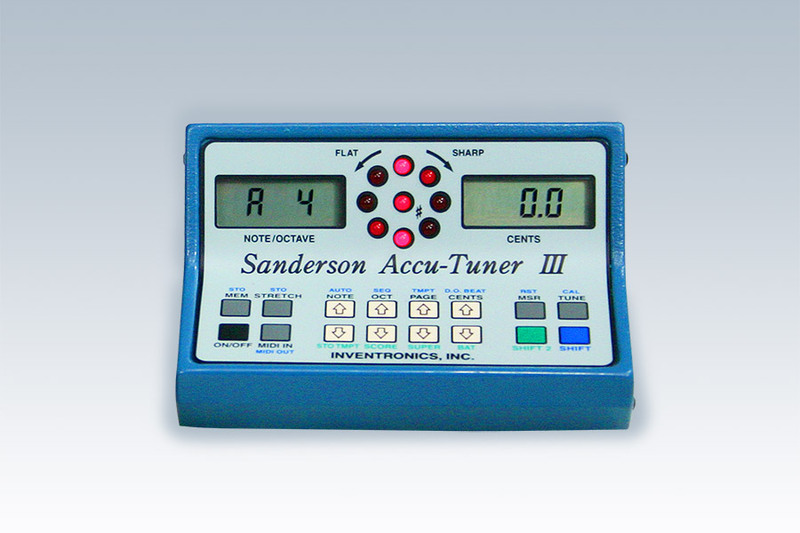 Our flagship Accu-Tuner® IV, is the standard by which all other electronic tuning devices are held. 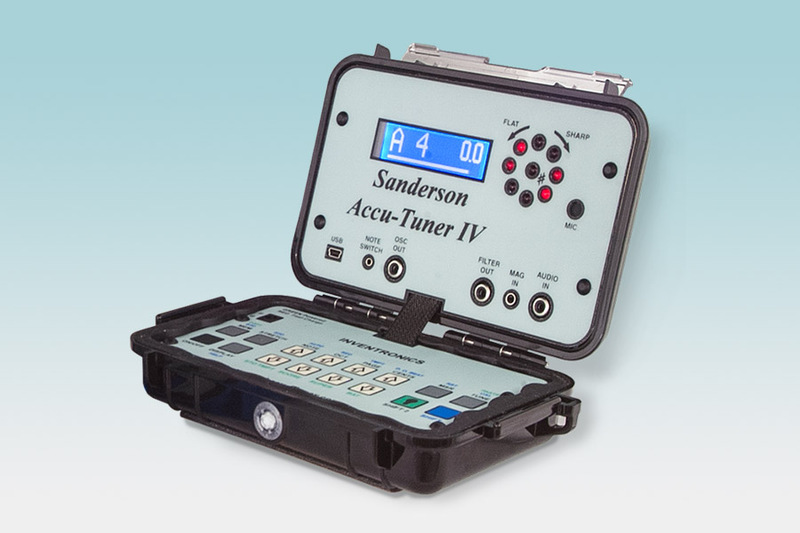 With superior accuracy, tried-and-true ease of use the Accu-Tuner IV is the professional piano tuner's best investment. 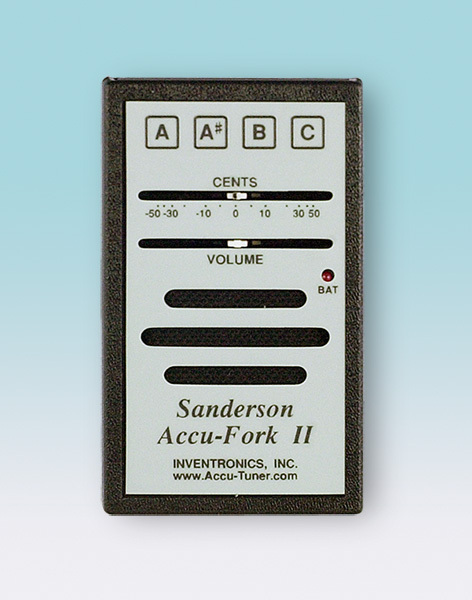 Slightly less expensive than the Accu-Tuner IV, but still superior in accuracy and ease-of-use than any competitive product, the Accu-Tuner III is a great choice for anyone considering an electronic tuning device for piano. With built-in tunings and the ability to save hundreds more, this may be all you need. 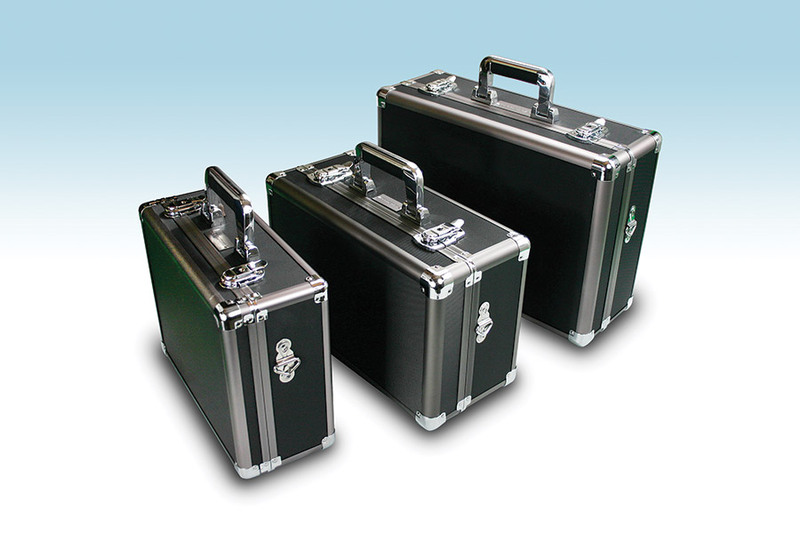 These attractive, sturdy cases have custom compartments for storing the instruments along with the footswitch, battery charger and tuning hammer. The case has two key-lock front closures and two safety hinges. Available in several sizes. If you are trying to teach or learn beat rates, have we got the instrument for you! 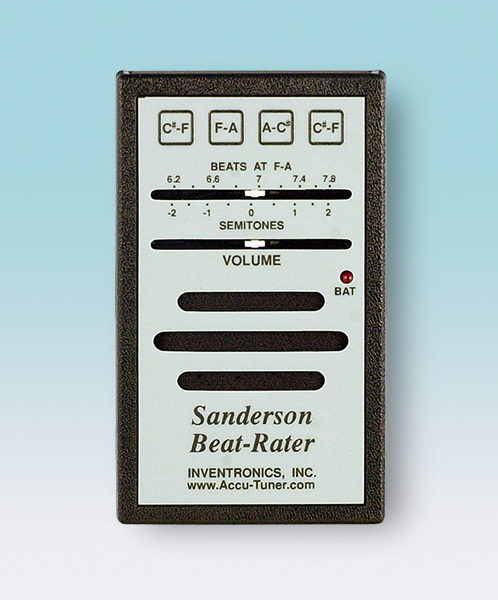 The new Sanderson Beat-Rater gives you the beat rates for all the major thirds in the temperament region, from B2-D#3 up to D#4-G4. We've tried to improve upon the old reliable tuning fork with the help of some electronic circuitry. The tuning fork may still be more difficult to drop and break, but the SAF II has its advantages, too.